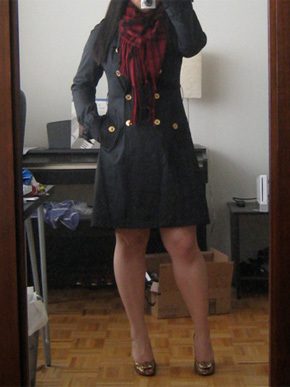 For those of you who were here back in 2010, you’ll remember I tried my hand modding my Banana Republic Classic Trench Coat (http://crewlade.com/2010/09/banana-republic-classic-trench-coat/). 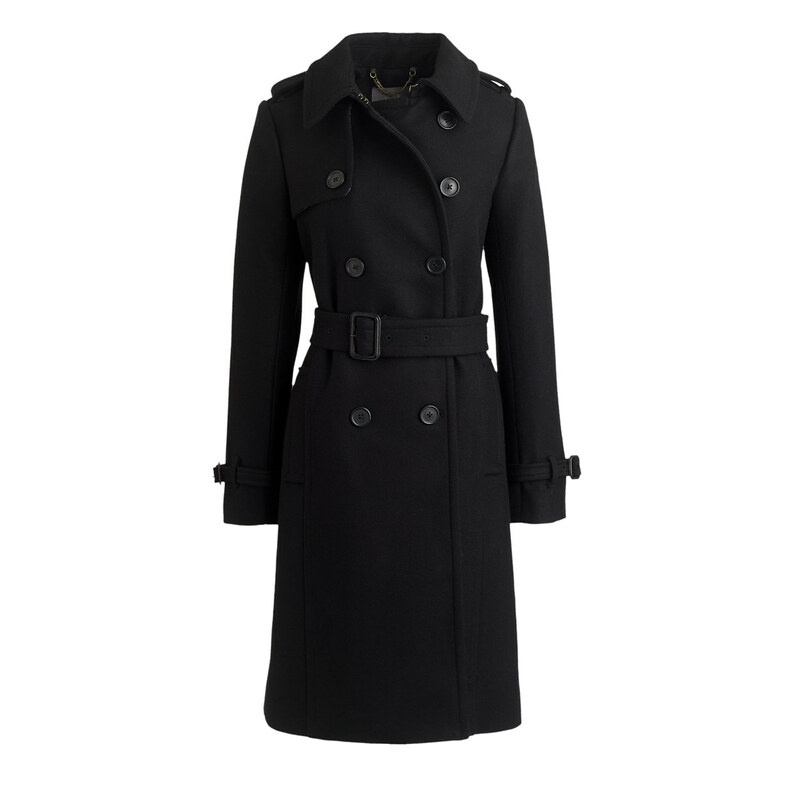 It was the classic black, but the buttons were black too, and made the coat feel rather dull. I always had a thing for gold hardware against dark colors, and had been looking for black coats with gold buttons for a while when the idea of DIY popped into my head. So I bought a bunch of gold buttons online and for the first time ever, tried my hand at sewing on the new buttons. It was nerve-wrecking to cut off these perfectly sewn on Banana Republic buttons, especially knowing I could totally not be able to make the gold buttons work and then I would have messed up a beautiful classic trench. Well, I’d say it made a big difference. It made the coat that much more visually interesting, and it was great knowing I had a somewhat one-of-a-kind coat. So this year, when I spotted that J.Crew now has the uber-awesome Icon Trench in Wool-Cashmere in Black, the same thought popped into my head. What a great classic coat — if you added gold or brass buttons, it would totally change the vibe. 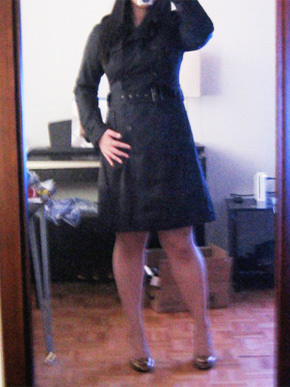 It may be much more military style, more chic? Since J.Crew has sold out of my size, I haven’t had a chance yet to try this out, but for those of you lucky enough to have snagged one, here’s what it could look like (pardon my crappy Photoshop skills). Totally different, right? I do like the original version for how sleek it looks, but with gold buttons it definitely gives it an extra oomph. If you’d like to try your hand at this, you can get the J.Crew Icon Trench Coat here from J.Crew. Ohhhh I like that! What a difference buttons can make! Great idea, I think I’ll try it on one of my current black coats..
Black and gold is classic. I don’t understand why they don’t actually produce coats like this with gold buttons.